Sarah's research explores how familiar solution strategies block better ones from being adopted. Sarah received her Doctorat en Psychologie from Aix-Marseille University in France and her PhD in Neuroscience from Georgia State University in the United States. Sarah has worked with chimpanzees for seven years, as well as several other nonhuman primate species including baboons and bonobos. Recently, Sarah assessed baboons' and chimpanzees' responses to a touchscreen task, which measured their abilities to replace a familiar solution strategy with a more creative one. 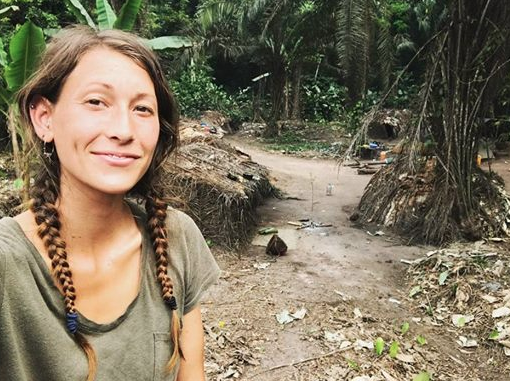 After receiving funding from the National Geographic Society, Sarah recently investigated cross-cultural differences in problem-solving approach between Westerners and the semi-nomadic Himba of northern Namibia.